Chocolate is by far one of my favourite things in the entire world! This chocolate tart is filled with Cacao which is extremely rich in antioxidants, can improve cardiovascular health, regulate heartbeat and blood pressure and detoxify the body of free-radicals. Cacao also contains Phenylethylamine which is a proven mood booster! Cacao can be used in smoothies, cakes, mousse, cookies, homemade muesli etc etc etc!! 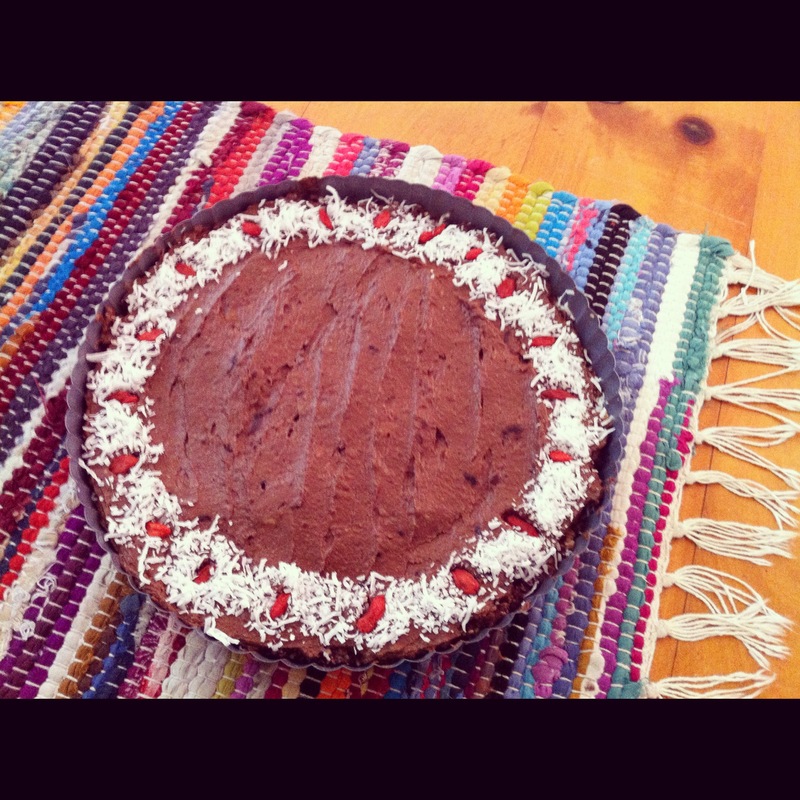 This is a chocolate tart I made recently with cacao powder and it was delish!! For the crust, blend all ingredients in a processor until well combined. Press into a lined tart pan with removable bottom greased with coconut oil. Press evenly to form a crust then place into the fridge for 20-30 mins. Place all filling ingredients into the processor and combine until creamy. Add more salt/maple syrup to whatever suits your taste. Evenly spoon the chocolate mixture into the crust and top with coconut, goji berries, nuts or whatever you prefer really! Set in the fridge for 1 hour.